Play it yourself!! You'll fell it as playful and challenging as Chess. Enclosure defined by Wikipedia: Enclosure (sometimes inclosure) was the legal process in England during the 18th century of enclosing a number of small landholdings to create one larger farm. Once enclosed, use of the land become restricted to the owner, and it ceased to be common land for communal use. We made this into a fun, beautiful and addicting game. Like farmers occupying their land using fences, players compete by enclosing as many land as possible; there’s limited move each round, and who gains most land wins. The game is designed with simple rules, but it’s greatly challenging and fun. Go or Backgammon players can find this game familiar, so easy to play but still challenging. Enclosure is round-based. Each term players have a finite amount of fences that they can setup each round, connected head to tail, that can be used to enclose a space and score. 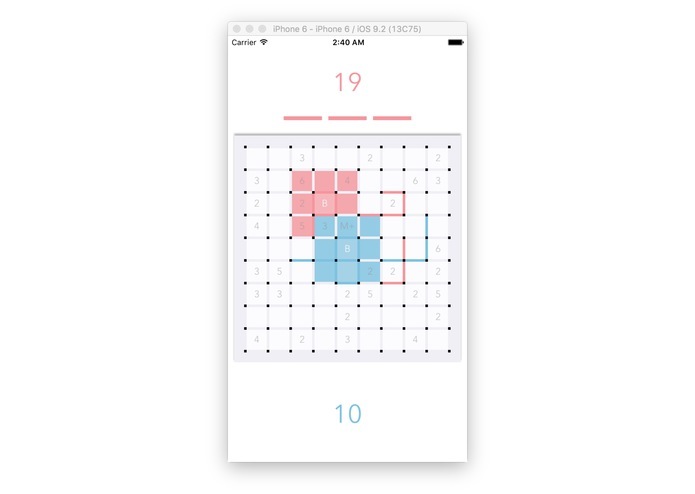 You can play this with friend on same phone, locally, and you can play it remotely too. There are 3 stages of the game: Rural Land, Farm & Village and War & Chaos. The complexity of the game increase along with the stage number. 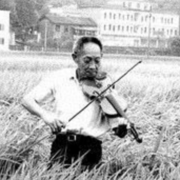 Rural Land: Lands are rural and their are values are approximately the same. ------ The score for capturing each land is 1. Each user would setup 3 consecutive fences in his/her turn. Farm & Village: The value of land differs as economic grow. Areas with village and farms appreciates, compare to desolated lands. ------ The score for capturing each area differs. War & Chao: As the number of remaining land decreases, landlord start accelerate the enclosure while fighting against each others. ------- Movement speed increase “M+” and Bomb “B” areas are added to the game. 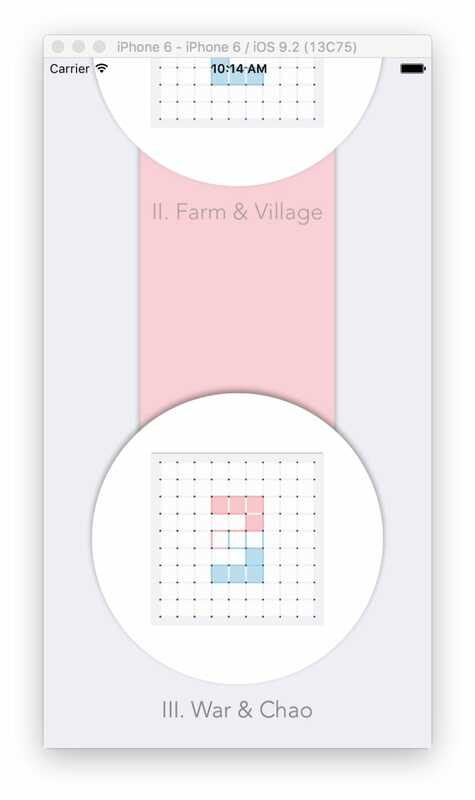 By capturing each “M+” area, player can set up 1 more fence in each setup, with a maximum of 5. 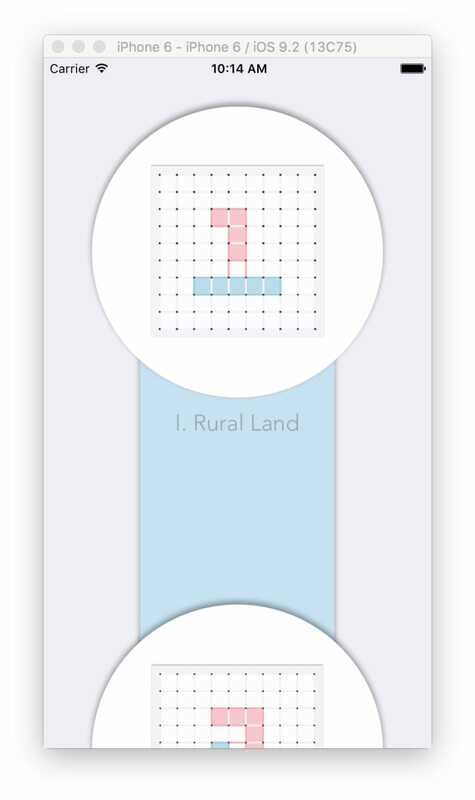 By capturing each “B” area, player will instantly gain all the 8 surrounded land (regardless of whether the opponent has enclosed the land). 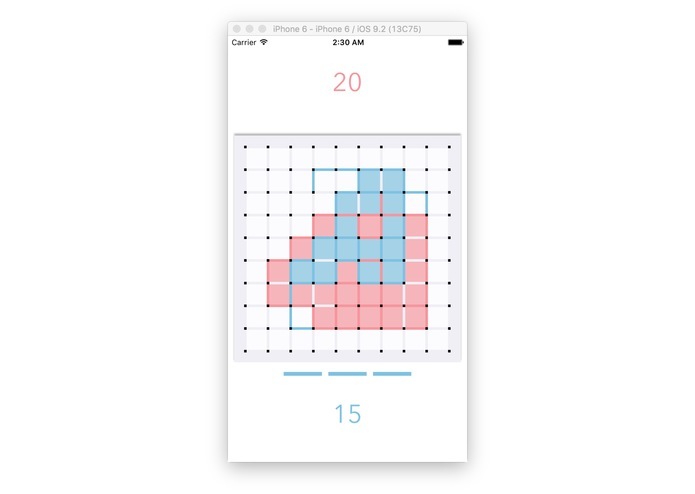 We build the game with iOS and swift. 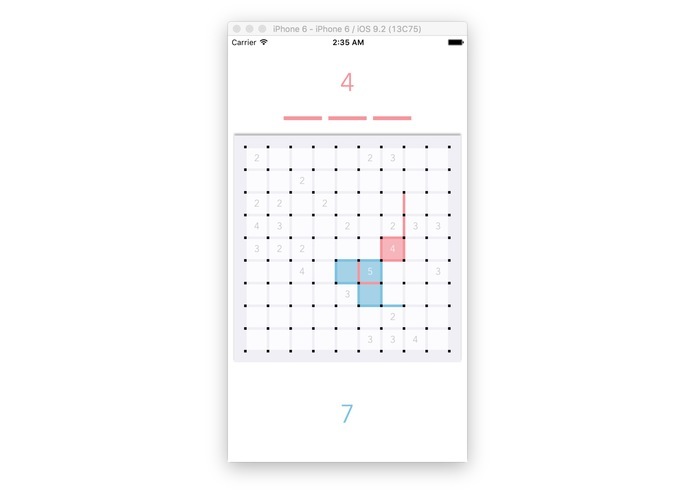 Most of the user interface and game framework is build with native UIKit SDK. 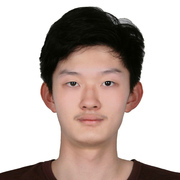 We used socket io (http://socket.io) and backend Node.js server to enable multi-player games. After letting 30+ people tryout the game, we're proud to find that people likes it VERY MUCH! Not a single person have problem understanding the game. People get addicted to it after playing with it for a while. 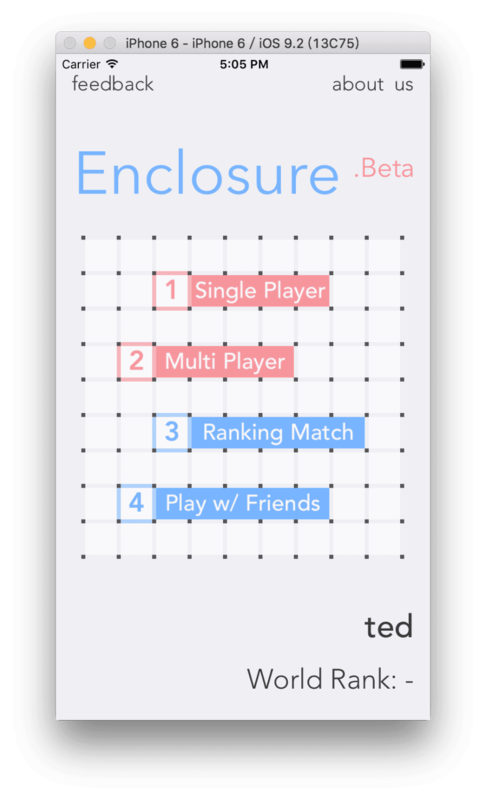 While developing Enclosure, we’ve constantly letting people play with it and improve our gaming. 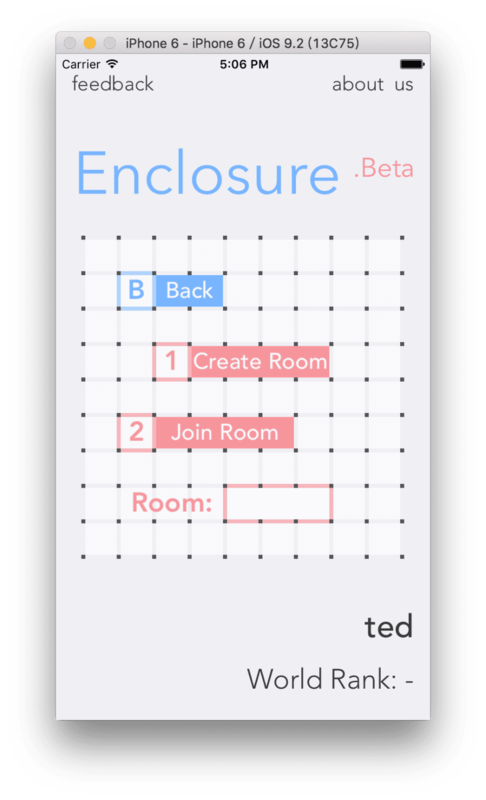 It would be very challenging to design an AI for Enclosure, because in each state, the number of possible action for the agent is huge. Even Play it with friend!